Patricia Morrison has lived a proper musician’s life; she’s been a key member in several different and cool bands and her visual style has taken punk to goth to simply beautiful in black. 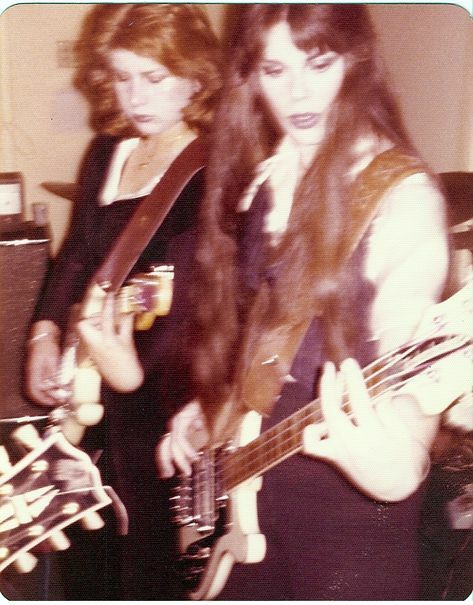 As a teenager she started playing bass, pictured below rehearsing in her first band ‘Femme Fatale’ with Margo Reyes. Patricia’s original inspiration as a Californian teenager were Iggy Pop, The Doors and lots of UK artists such as Bowie, Queen and Roxy Music. In 1976, Patricia teamed up with Alice Armendariz and others to form punk band The Bags. They were one of the earliest L.A. punk bands – their gimmick was to wear paper bags on their heads as in this picture: – and they played extensively, including venues where the new punk sound was not appreciated. According to Patricia Morrison, she was sacked from The Bags for ‘being too punk’ -because she jumped around on stage and backcombed her hair. After leaving The Bags, Patricia played for a while with Legal Weapon before being asked to join The Gun Club in 1982. She moved to London with the band, but was soon involved in many other projects, including Fur Bible. Again, Patricia was in demand as a musician when The Sisters of Mercy founder Andrew Eldritch lost the other members of the band. With her cool image and ability to play, Patricia Morrison was ideal. Following a period of time recording and touring as a solo artist with her own band, Patricia was asked to stand in as bassist for The Damned following an accident that injured previous bass player Paul Gray. 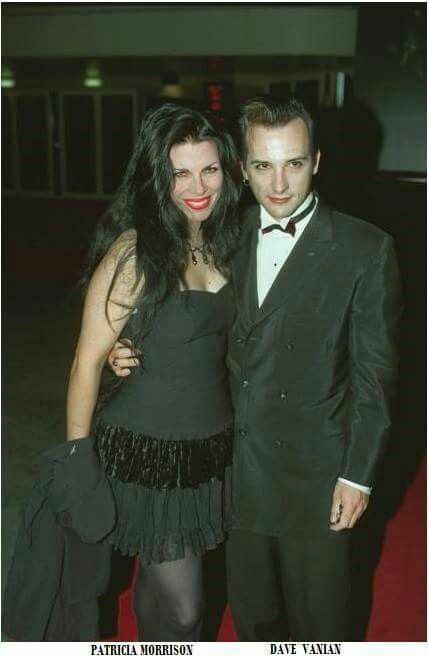 Several tours followed and then Morrison married lead singer Dave Vanian in Las Vegas. We salute you, Patricia for having made so much great music, and having such a big impact on female musicianship and style. But we’re sure that there is more to come and we look forward to seeing and hearing more from you!